We have many colourful stories about my grandfather's great-grandfather. He was (supposedly) born William Rudolph Haberstiech (Jnr) in a small Swiss village (perhaps in Aargau), on 8 Jul 1841. His father was the town Obermeister (Mayor). Our family tradition implied that William Snr. was a terrible tyrant, would beat his wife and children; and punish his sons by putting them down a well. 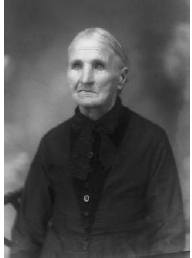 Upon his death the wife (Anna Maria) ran away to Canada with at least three children (hint that she may have had a hand in her husband's death). 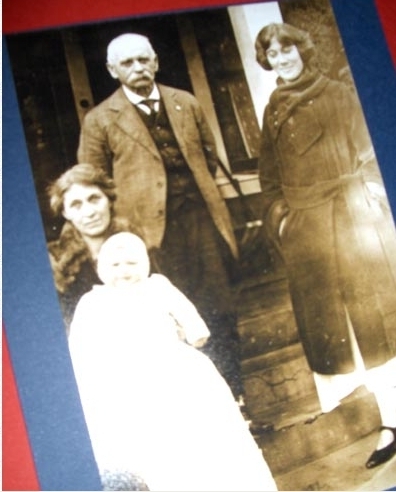 In Canada the family assumed the mother's maiden name, Lusher/Luscher/Luesher or Lusher. William Jnr. renamed himself R Henry Lusher and renounced his father's fortune. Debts to Marjorie Gallagher and Christian Heilmann), whose findings increasingly make some of those stories look, at the very least, exaggerated! It appears from documents that Henry's mother immigrated to New York in about 1852 with her very much alive husband; the marriage broke down soon after and he went back to Switzerland. Anna Maria and the children are living in Michigan about this time. Later Anna Maria (Luscher) travelled back to Switzerland to persuade her husband to agree to a divorce. One starts to imagine if it was Anna Maria rather than her husband who was the bully. Following the divorce she promptly remarried another Swiss immigrant to the USA, Johannes Duscher (various spellings). The Haberstich family was prestigious, and has been traced back to the 1600s in Switzerland (data from Chistian Heilmann no longer available, but I saw the tree layout back to the 1600s before it was taken offline, some info here and here). One set of records suggests that Rudoph Henry Haberstich Snr. was having severe financial difficulties by about 1851 (so much for the family fortune). Anecdotes from distant cousins suggest that there were fall-outs among the children and grandchildren of Anna Maria which has made it difficult to trace the family. I have found no evidence of Henry joining the US Army at age 15, or that he was a messenger for General Grant. I feel more confident about the family stories about Henry, for the period after the US Civil War. Story is that right after the US Civil War, Henry married Mary Ellen (Fitzgerald Eldridge). She was (according to family lore) an immigrant from Ireland to Canada and then onto the USA at the age of 14 (I haven't found her in 1860 or 1861 Census, though). She married at age 16 to a John Eldridge who died in the notorious Libby prison (American Civil War) at the hands of Confederate captors. Mary Ellen, or "Ella" as she is usually known, had a son called John A. with her first husband. I haven't found any records to verify details of her first marriage or immigration, but her son John is found living with the Luschers in the Census records. The Lushers settled in Minnesota until at least 1885. Henry worked as a farmer, and they had many children, including Ella Louise ("Louiza" or "Lulu"), They are in Redwood Falls in 1870 and 1875, and in Todd Co. MN in the 1880 and 1885 Census. They ended up in Chicago where the Henry became wealthy as the owner and manager of a retail goods store (he is down as Coal Merchant in the 1900 Census). Mary Ellen seems to have died after 1899. Henry's children are generally to be found in the Census and marriage records in the Chicago area from 1895-1900. In 1897 Henry's eldest daughter (Ella Louisa) married Alexander Gillan Robson; Ella's little sister Florence is living with the Robsons in 1900. Due to Alexander's health problems, the Robsons immigrated to California, where they lived on a ranch in San Jacinto from about 1902-1917. Alexander died in 1908. In about 1917 the Robsons moved to Pasadena (where I suspect they had cousins). Henry Lusher is living with the Robsons in 1910 and 1920. Henry died November 1926 -- my grandfather Robert Francis Brainard, b. 1922, had a few memories of his great-grandfather Lusher. I'd love to hear from any distant cousins. 1841 Jul 8 William Rudolph Haberstiech (?Habersteich) b. small village (probably Muhen, Aargau) Switzerland. Both age 80, Jacob and Mary Ducher (various spellings for Ducher) are in Pasadena CA in the 1900 Census. No Luschers nearby or anyone with an obvious connection. According to Census and family tree info on Ancestry.com, Jacob had a large number of children with his first wife, who died about 1857 (unless she didn't die, this is the part that gets confusing, did he abandon them? ), but none are living with him in 1870 -- why not?? He married "Mary" (Anna Maria), in 1863. Ella Luscher 23, her and her parents born in Ireland could she have been 29 not 23? Fits with John's age. Born MN: Lula 13, Edgar 10 Can't find in 1900 and later censuses, did he die young? There is a lot of confusing and conflicting information online about Mary and Jacob; I am half wondering if their details have been mixed up with some other people's, or if the life story of Henry Luscher was distorted, as told down thru the generations to my line. 1903 Oct 8 Chicago, Cook, Illinoismarr. Of Henry R. Lusher Jnr. (35yo) To Mrs. May Smith (33yo). Is this Henry R. Luscher who served from IL (& died??) in WWI? Henry Snr. lives with his daughter Ella Robson in CA in 1910 & 1920. Henry Jnr. & Mary are here, all details seem to match. There's a Godfrey Luscher kicking around in Redwood Falls MN about the same time, several children born to him, I have a feeling Charles & Godfrey could be Henry's brothers. And SG (below) could be a sister-in-law. They are next door to the Kingsleys, note that Charles above married a Kingsley. 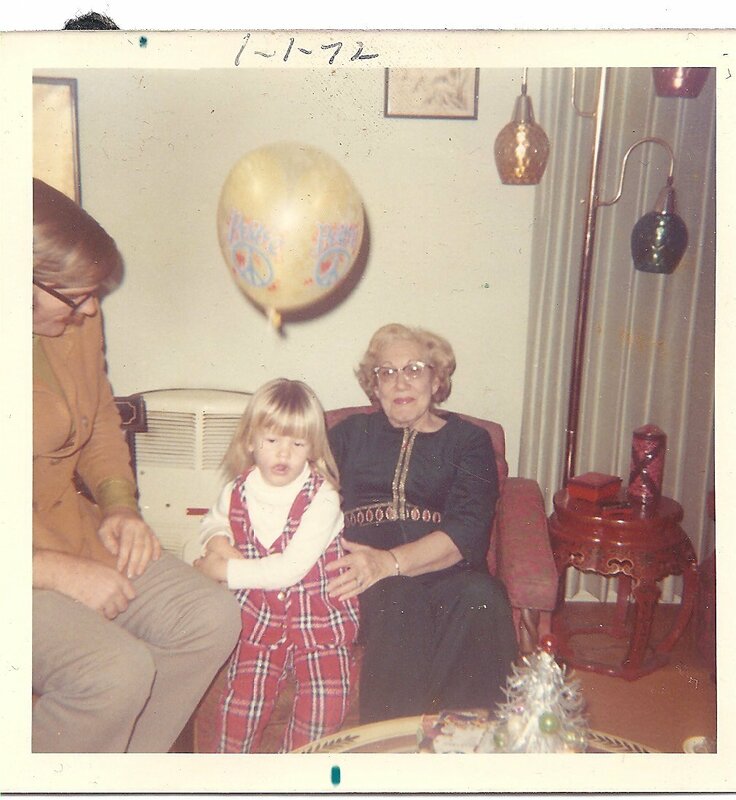 Lila Lucille was my grandma and Arthur was my Dads (Earl Vern ) Uncle. I used to ride the bus with my grandma to Sacramento to visit her brother Art and Wife Peggy. Hello, My name is Karen. My great grandfather was Dr. Charles Luscher whom attended Rush medical school and lived in Redwood Falls, MN., though I was told came from Aargau County, Switerland orignally. I think his parents were Horace Luscher & there is the name Kuenzli relationship somehow. I am very interested in learning more about the family history and would love to share what little I have. I do know Charles had a brother named Henry. I tried the email you supplied but it bounced back? Get back to us here if you can? ps: do you know about Find A Grave? I have a large amount of information on a Charles Luscher who attended Rush Medical School around 1877, Graduated and then settled in Minnesota. His wifes name was Mary. According to some of the papers (including a life insurance certificate) I believe he died shortly thereafter but couldn't say that for sure. I also have a handwritten copy of his wife Mary's Last Will and Testament. The papers were part of a lot that came from my mother's hosue after she died. (She was a collector and never threw anything away. Hi Jody, I am not sure where we got with this. I have another descendent of Charles in touch who is interested in the papers you have, if still available.